AP Land Bhd’s adviser Tan Sri Low Yow Chuan looked every part of the old fashion towkay as he sat in a chair and watched customers file in to the Platinum Galaxy Boulevard showroom in Changshu, China. Resting his hands on his walking stick, the 74-year-old patriarch of the well known developer family was obviously pleased with the company’s latest venture as it was the realising of a dream he has had for quite sometime. “I wanted to come and develop in China for many years. In fact, I wanted to venture to my ancestral province of Xiamen but due to various problems it never took off. “Even for this project, we have been quietly coming here for more than three years before we finally decided to invest,” Low says in an interview after the ground breaking ceremony for the Platinum Galaxy Boulevard commercial project earlier this month. Low tells of how undeveloped China was when he first visited it together with a Malaysian Government trade delegation about 20 years ago. “There were bicycles everywhere then but look at it now, everyone is driving a car. “When we first got to Beijing, there were not enough hotel rooms to house all of us. We had to stay in a Government-run hotel but today, there are so many,” says Low, who at the age of 23, helped his father Tan Sri Low Yat complete the now famous Federal Hotel at Jalan Bukit Bintang. Despite his role as the company adviser, his children, who now run AP Land, and senior staff sought his opinion (and approval) on the company’s project in China. It is proof that his views still hold sway. But when asked if he could be interviewed for his opinion on the company’s Chinese venture, Low pointed to his sons Gee Tat and Gee Teong who are now chairman and joint managing director of AP Land respectively. Gee Teong takes up the story of how the company, which in some form or another, has been developing property in Malaysia for the past 60 years, came into the Jiangxu province’s special economic zone of Changshu. “Things are very strict now in China. There are so many regulations to follow but if you go by the book, everything runs smoothly,” Gee Teong said. The slowly-but-surely tactic adopted by AP Land seem to have paid off because it had also snared the confidence of the local authorities. Its ground-breaking ceremony for the Platinum Galaxy Boulevard project was attended by the top three high officials of the city €“ the mayor, his deputy and the secretary of the city’s communist party. Their presence for the launch of a commercial project of just 6.6ha is an indication of the relationship or quanxi (in Mandarin) the company has established with the local administrators. Asked if AP Land was not too late in coming into investing into China, Gee Teong said that was not the case as the company had been coming to China to seek out projects for quite a while. “If this is being late then it has become an advantage as we had been able to see what others had gone through. “This is not our first overseas venture we are in Australia, Japan and Indonesia,” he added. He said the overseas ventures will play an important part for the company and was expected to account for between 30% and 40% of the revenue in the future. AP Land recently acquired a piece of freehold land in Hokkaido measuring 3,082 sq m for RM18.9mil. The project, called Shi-Ki which means four seasons, is a high-end residential development located in Niseko, said to be a major ski-resort destination in Japan. The project will generate an estimated GDV of 5.7 billion yen. In Indonesia, AP Land now owns 36,000ha of land which will be the company’s second foray in the oil palm plantation business. It plans to expand this to over 100,000ha in the near future. The company has been rather low profile for the last 24 months after it cleared its debts with the sale of several properties including the City Square shopping complex, the Empire Tower office building and Crown Princess Hotel for RM680mil. Its future in China looks bright as the launch of the Changshu development has proven to be timely. Gee Teong let on that they had been approach by several Chinese parties who had been impressed with the Platinum Galaxy Boulevard project. “We are looking at two offers €“ both are on a joint-venture basis. We have already started negotiations but it is still in the early stages. 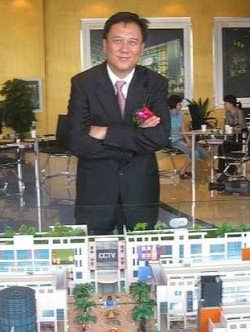 “We are looking for some land bank in China both inside Jiangsu and also in other nearby provinces. “It is our long term aspiration to grow and build a significant franchise in China. We are here to grow,” said Gee Teong.